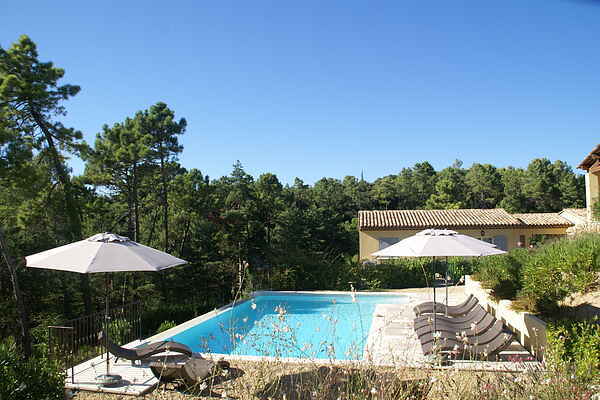 You will stay in a luxury apartment for six people in a small residential complex in the heart of Provence, a half hour's drive from the Cote d'Azur. The résidence is located in middle of the forest; enjoy the smell of eucalyptus, lavender, rosemary and the chirping of the cigalles (crickets). Cool off in the beautiful swimming pool. Sports enthusiasts can play table tennis and there is a pétanque court (balls provided). The lovely village of Montauroux is 1 km away. Take a seat on one of the benches in the square and enjoy the view of Lake St. Cassien. Also spend a day in Cannes (25 km) to take a stroll the French way on the famous La Croisette promenade, with its tall palm trees on one side and beautiful white sandy beaches on the other. How about a day trip to Fréjus (30 km)? Here too you will find a great deal of luxury and glamour and many restaurants. Or grab a boat in the port of Saint-Raphaël to navigate the Mediterranean towards Saint-Tropez. Further inland you will discover the genuine charm of the Provence: lavender fields and villages with houses, covered with the typical Roman tiles.